This iconic treatment essence is a wellspring of freshness and vitality. Offering a bouquet of delicately woody citrus and cyprus notes, Eau Dynamisante is an invigorating fragrance that refreshes and revitalises the senses. 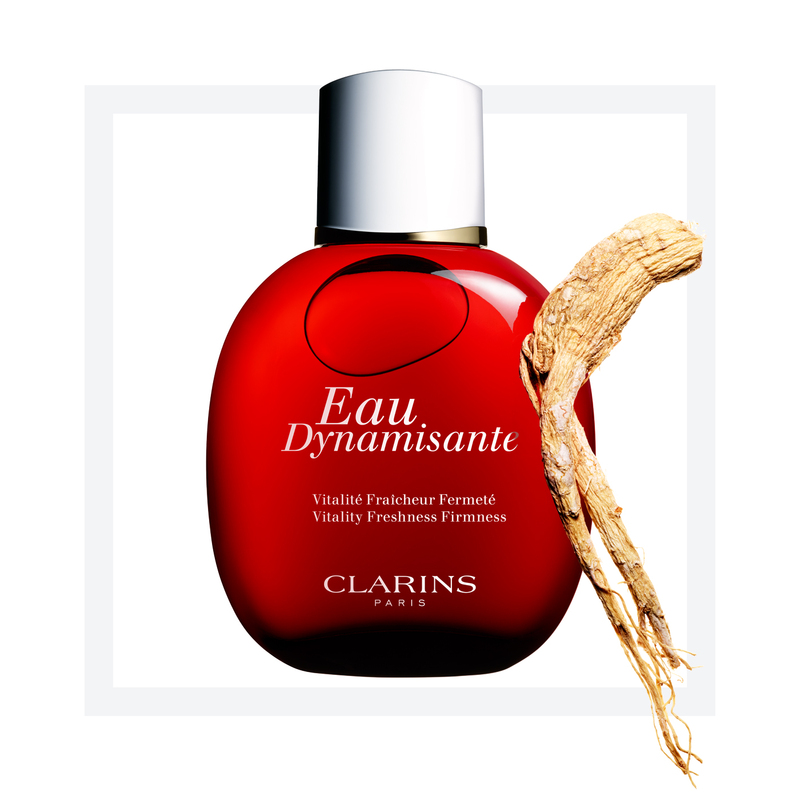 Because Clarins is committed to sustainable beauty, Eau Dynamisante is packaged in an eco-friendly bottle and box*. The refillable bottle can be dismantled to facilitate recycling of the individual components*. The box is recyclable and the cardboard sourced from sustainably managed forests. The total volume and number of components have been reduced. *For more information on this initiative see 25 Years of Eau Dynamisante. **In Europe and several other countries. Instils a pleasant, refreshing sensation.